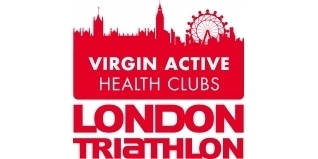 Relive your race at the 2011 Virgin Active London Triathlon! GE's triVIEWER brings triathlon results to life, on screen by allowing competitors to visualise their race and compare their performances against the field, friends… or even opponents! Here is your chance to re-live the race from your computer. triVIEWER+ is our enhanced version of the fantastic triVIEWER tool (find out more HERE), and allows you to replay the races against a map of the actual London Triathlon course map! Here, we provide you with the ability to replay within triVIEWER all of the events from Saturday 30th July at the 2011 Virgin Active London Triathlon. 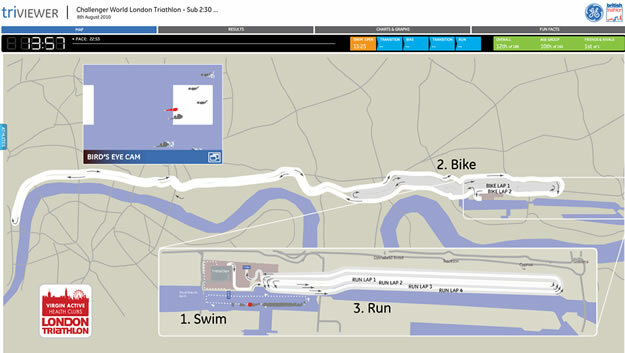 To launch the London Triathlon 2011 triVIEWER+, just choose the event you want to watch and analyse, and away you go! You can even share your race with your friends via Facebook and Twitter. We also have triVIEWER+ available for the 2011 Blenheim Triathlon HERE, the 2011 Toshiba Windsor Triathlon HERE and the 2011 GE Canary Wharf Triathlon HERE. (Do check your selection carefully - with several different courses and distances being utilised across a London Triathlon weekend, there are 13 separate result sets and triVIEWER+ maps to choose from for London 2011, just for the Saturday races which are featured here. triVIEWER+ for the Sunday races will follow tomorrow. We've also included links to the detailed 'regular' results listings, to the right of the triVIEWER+ link).